Were I to suddenly find myself alone on a plane, memories all but gone and instructed by someone to “kill the one with the initials ‘J.R. '”, I’d lose my damn mind; or whatever remained of it anyway. Heliophobia‘s protagonist is in that very situation though, and as if that wasn’t bad enough, it seems everyone is out to kill you, crime syndicates and shadowy organizations constantly lurking in the shadows! Oh, waking nightmares are a thing too, but surely… it can’t get any worse now, right? Right?! Yeah, we should be so lucky, ya know? 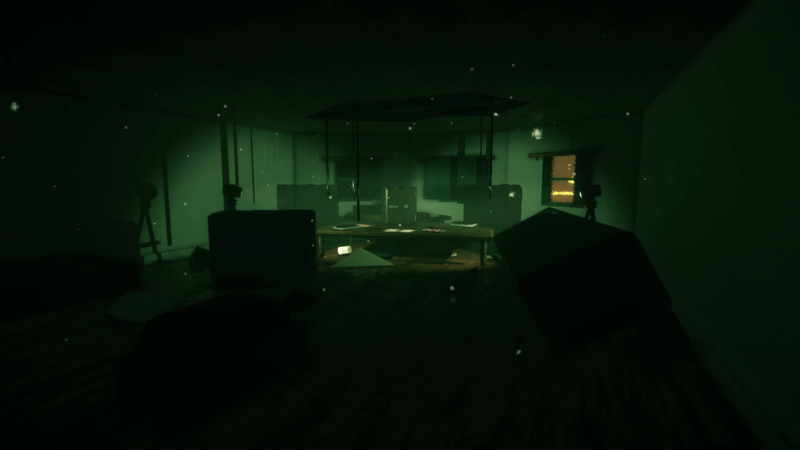 Although at the same time, Heliophobia being billed as a surreal horror game and all, the more dread the better. No really, and one glance at the trailer will reveal just how weird its world is, far removed from what most would consider remotely ‘normal’. That said, even if the odds are undeniably stacked against you, certain aspects do work in your favor still. Like, say, Glitch Senses (a sixth sense of sort) and the fact that the story itself is non-linear, offering plenty of exploration and experimentation. Explore a wide variety of locations while you uncover secrets and piece together fragments of a deep, interwoven story. Navigate sections of a seemingly endless city filled with claustrophobic alleyways, labyrinthine tunnels, and dreary establishments. Not like you’ll be running and/or fighting for your life all the time though. Sure, the entire world is out to get you, and danger does lurk around every corner – as mentioned earlier – but there are also a wealth of puzzles to solve as you roam the open-ended streets of this “vast nocturnal metropolis”. A nice change of pace that you’ll come to miss moments later, at which point you’ll likely find yourself chased by horrifically deformed monsters, dashing down dark claustrophobic alleyways, navigating an ever-changing experience (or trying, rather… you’ll see), every second potentially your last. Survive long enough however, and you just might figure out just what the heck is going on, as well as of course, who this “J.R.” fellow that you’re supposed to kill really is. Maybe. Heliophobia will be available on Steam and itch.io come October 18, carrying a $9.99 price tag.